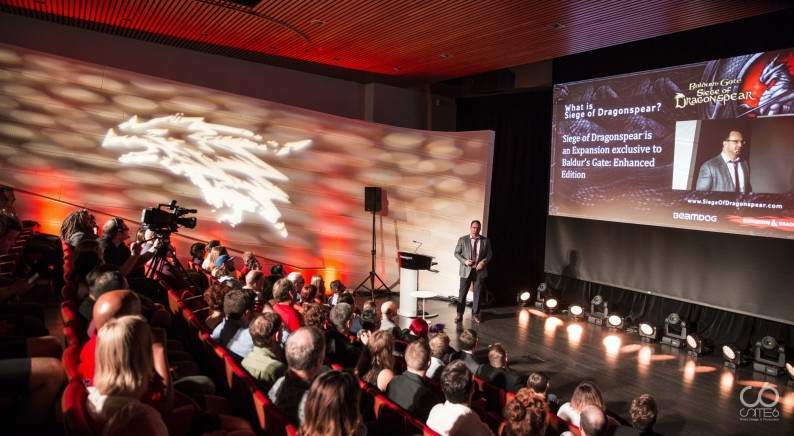 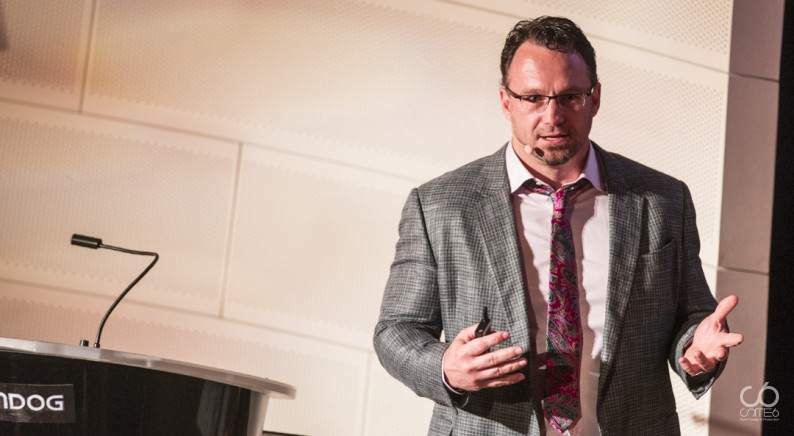 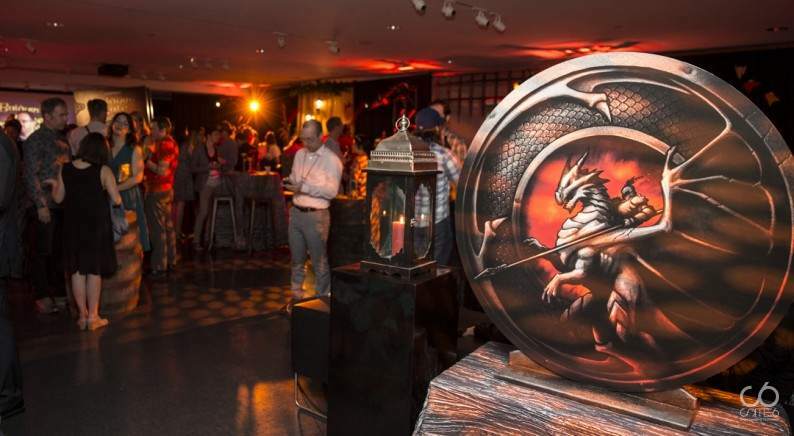 Copyright © 2019 Site 6 Events Ltd.
Site 6 Events produced the media launch and unveiling of Siege of Dragonspear for Beamdog, a prominent Edmonton game developer, at the Art Gallery of Alberta on July 9th of 2015. 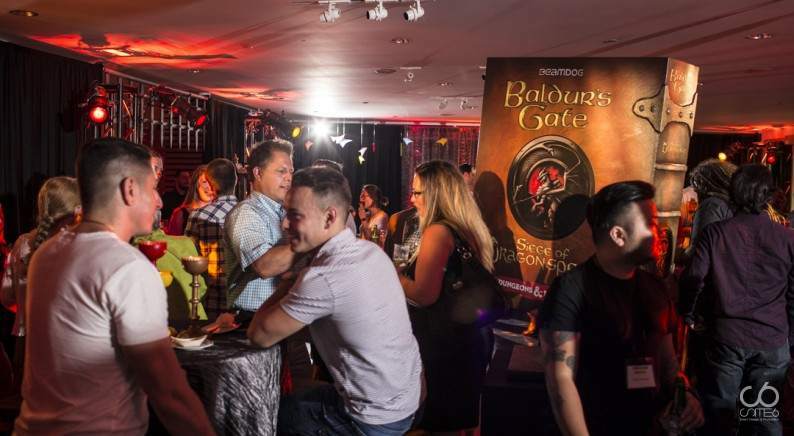 Code-named Adventure Y, the game resurrects the 18-year-old video game franchise “Baldur’s Gate” which has a loyal and dedicated fan base all around the globe. 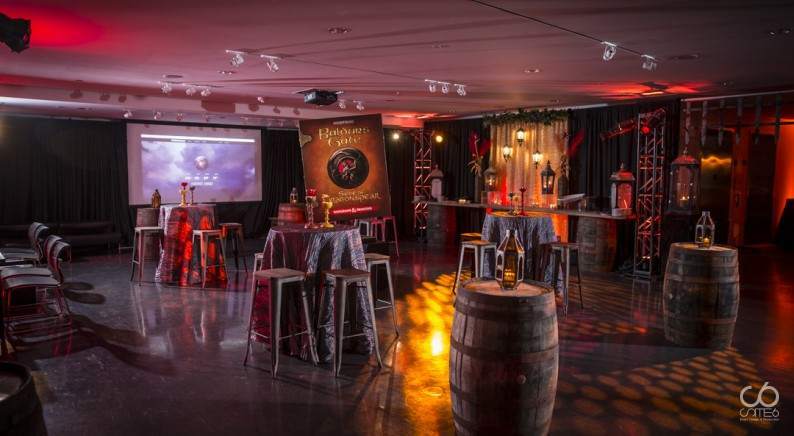 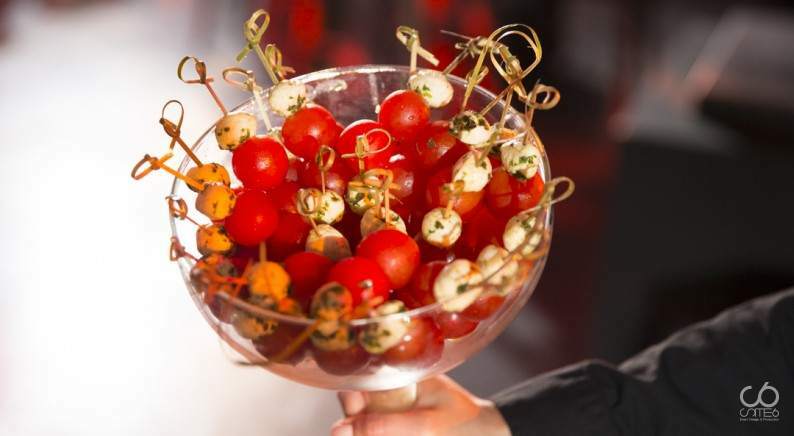 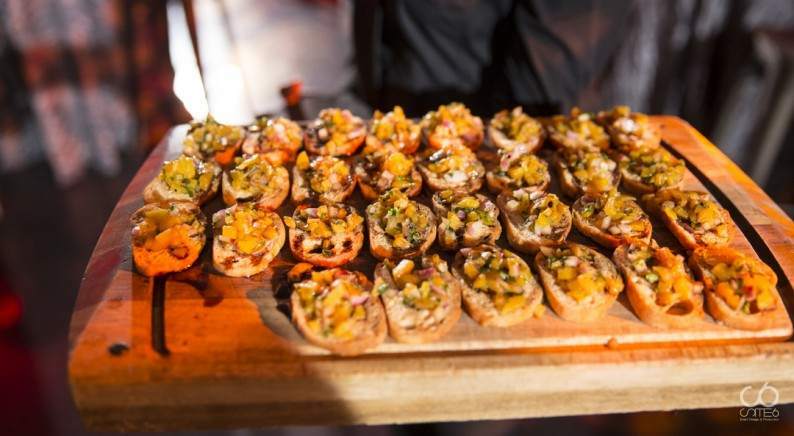 With only 5 weeks to plan and execute the media strategy and this much-anticipated event, we chose the Ledcor Theatre and Foyer as the perfect location for the launch. 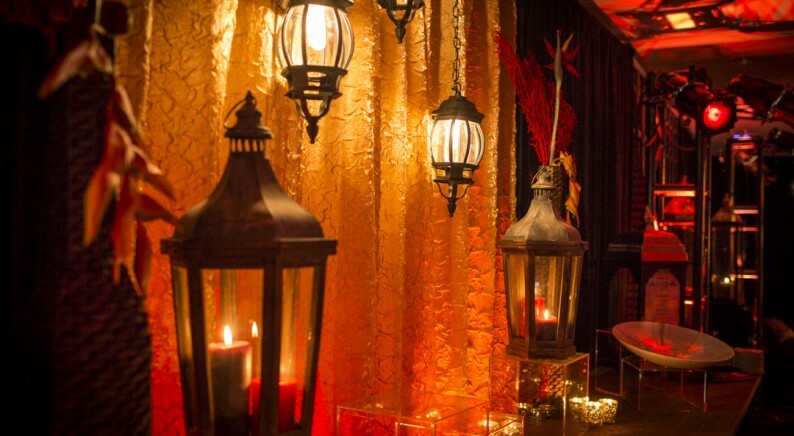 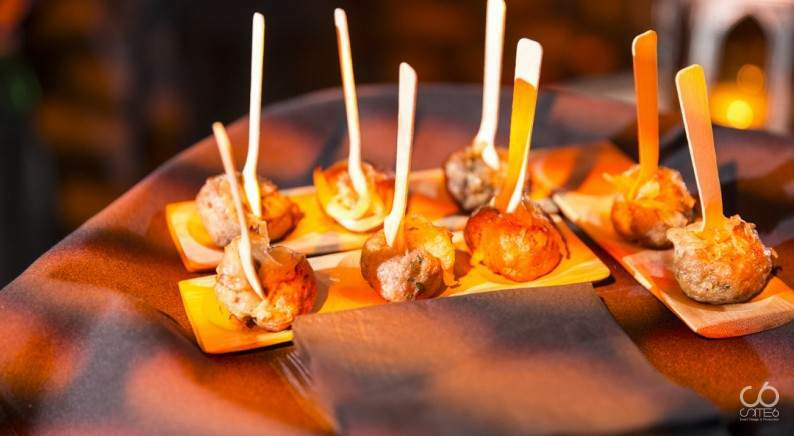 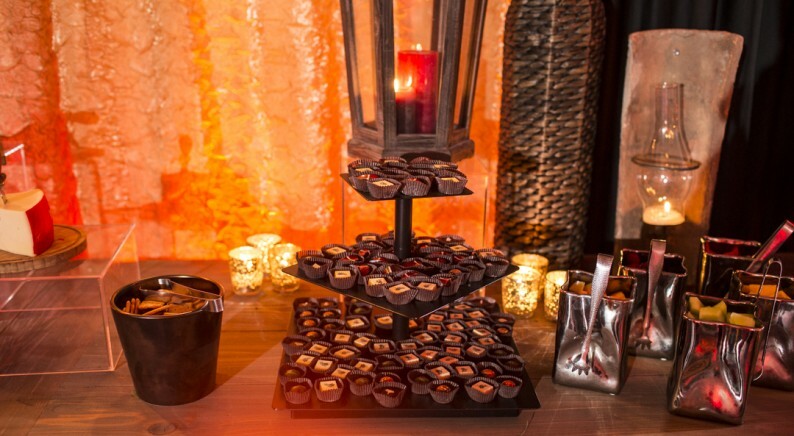 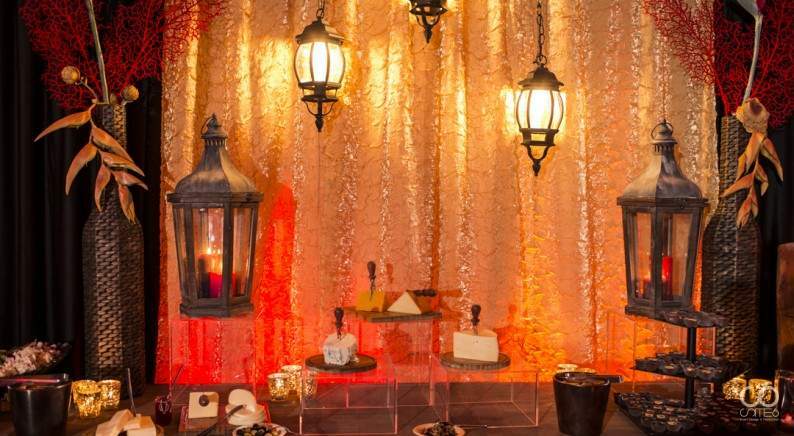 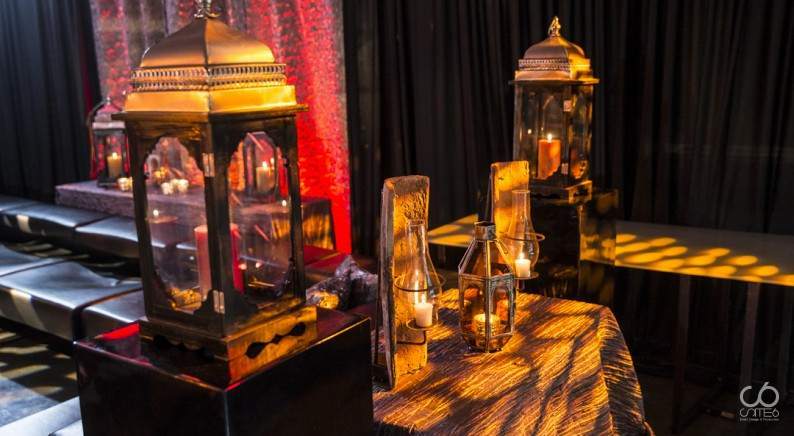 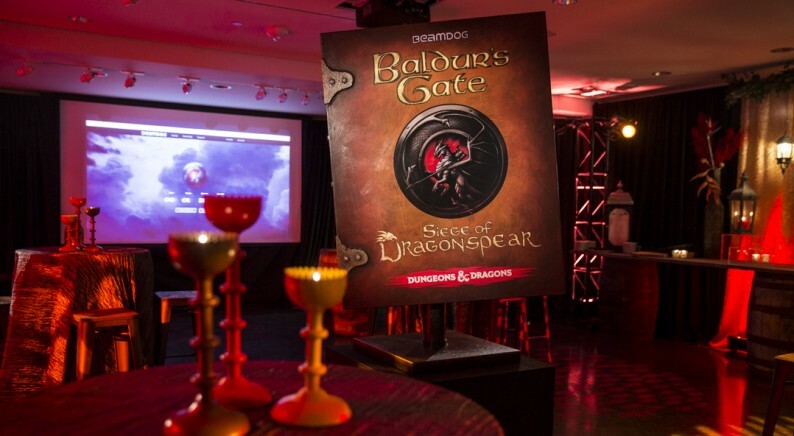 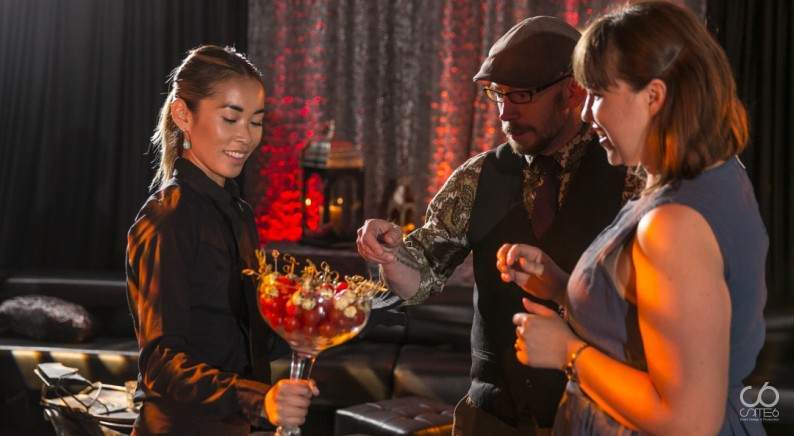 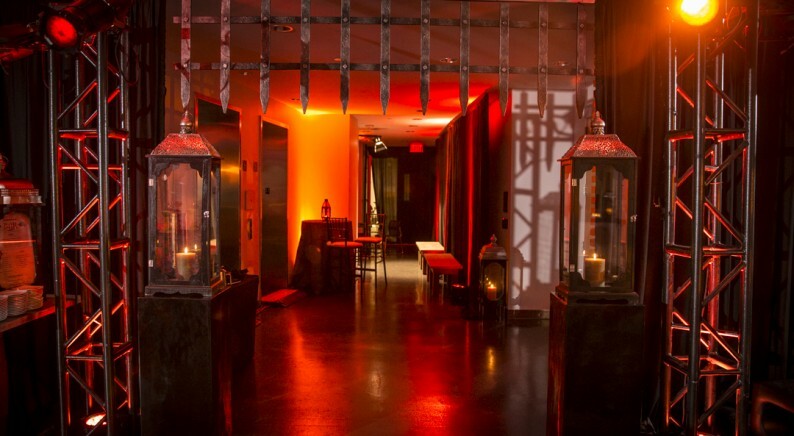 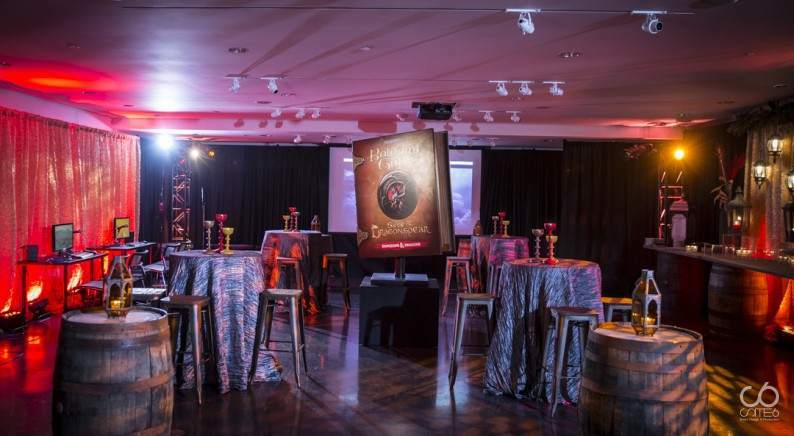 The event commenced with a countdown welcome reception, transporting guests into a true Baldur’s Gate experience. 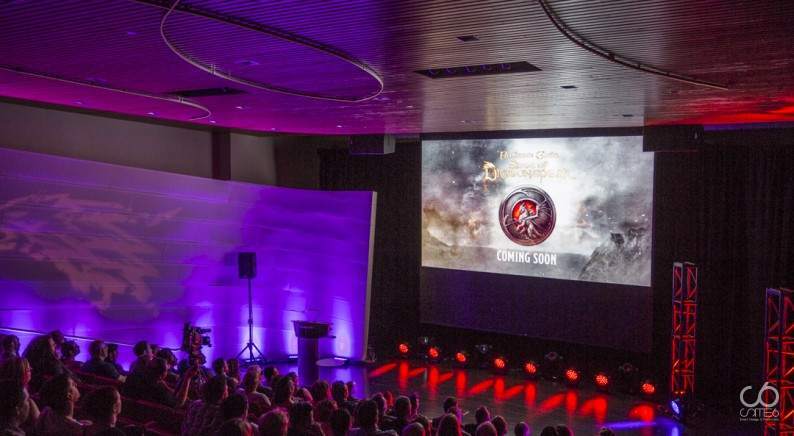 Guests then filed the theatre where a wow-factor lighting and audio show created an epic build-up to the reveal of the official game trailer, generating an unforgettable audience hype! 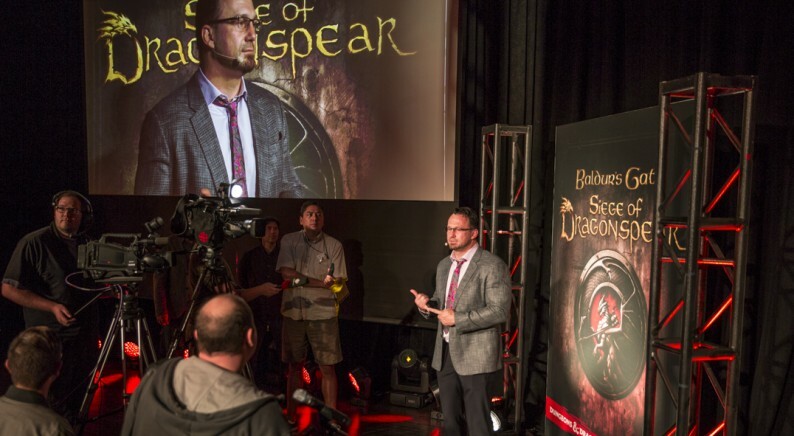 After the trailer and formal presentations from the President and the Lead Designer of Beamdog, we coordinated a press conference inside the theatre while guests enjoyed the party in the foyer where we now revealed the Dragonspear emblem and a giant custom-built special edition Dragonspear book “The Box”. 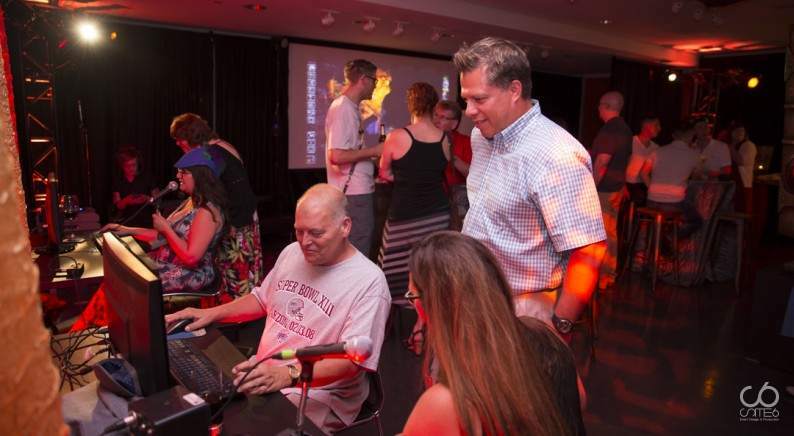 We also activated kiosk stations each hosted by a Beamdog team member where everyone had the opportunity to demo the new game. 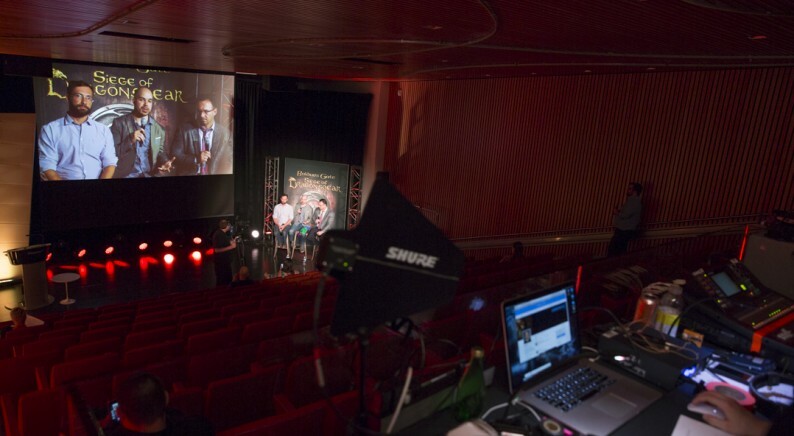 Meanwhile, individual media interviews were conducted and the Beamdog team answered live twitch and tweet questions in the theatre to encourage fan interaction. 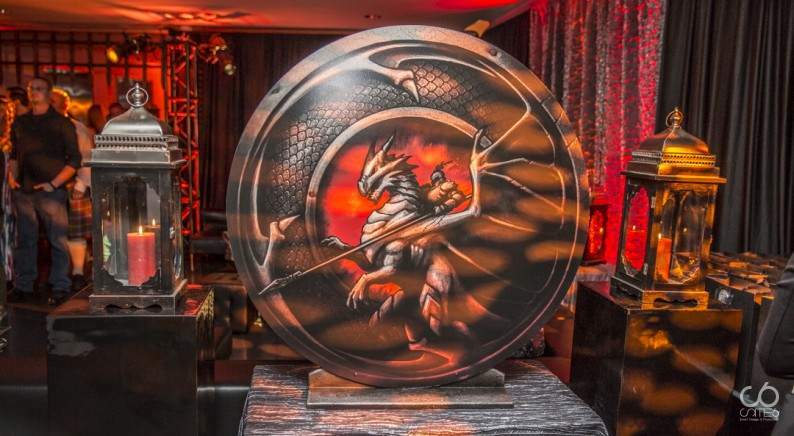 Upon conclusion of the event, guests received an exclusive gift bag with Dragonspear T-shirt, team reward coin, game voucher, and food truck coupon. 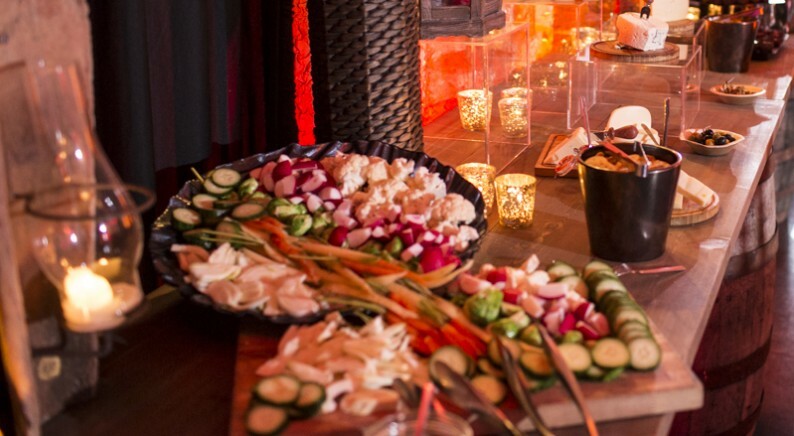 Moose on the Run was parked outside the gallery where guests gathered and enjoyed a late evening snack prior to departure. 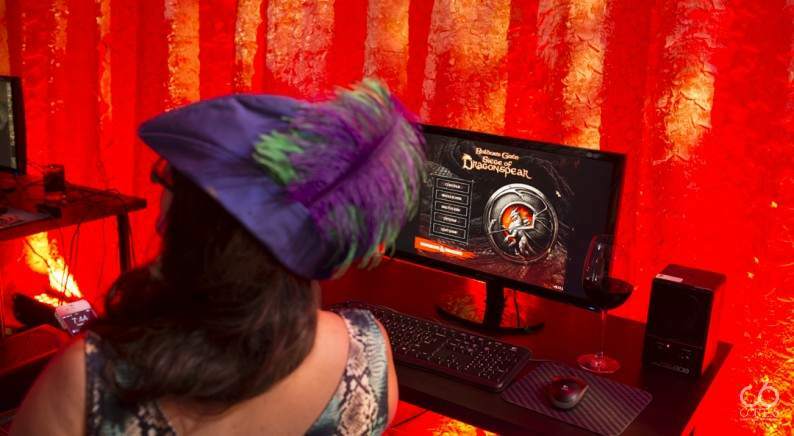 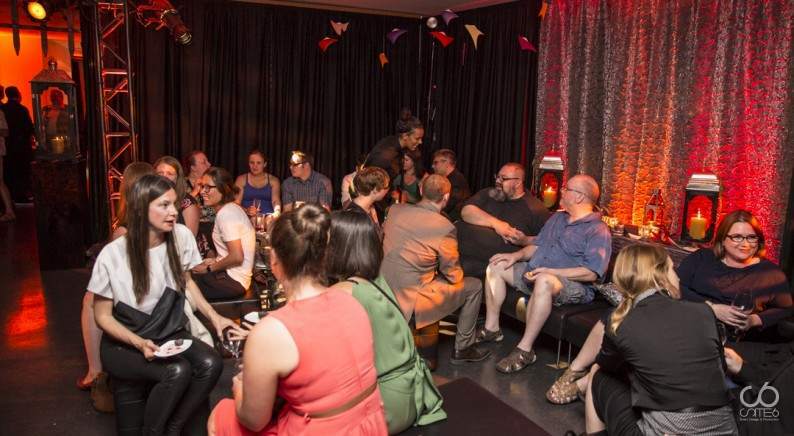 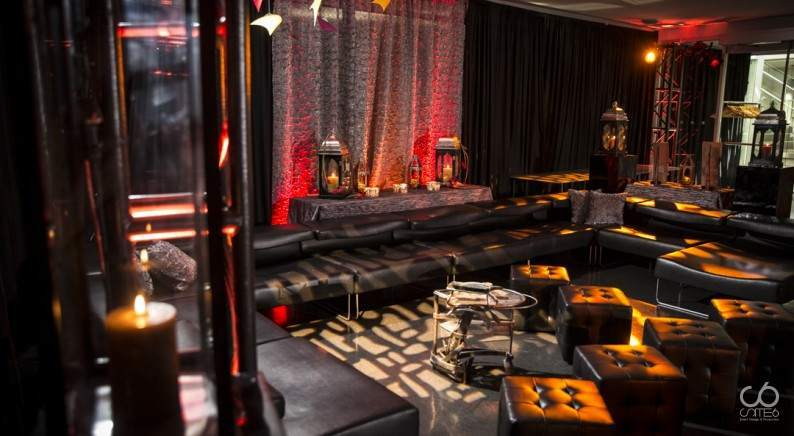 We then transported a group of 35 VIP guests and media representatives via a privately rented city bus to the Cactus Club in downtown Edmonton to conclude the event with a fun after-party celebrating this major accomplishment for the Beamdog team. 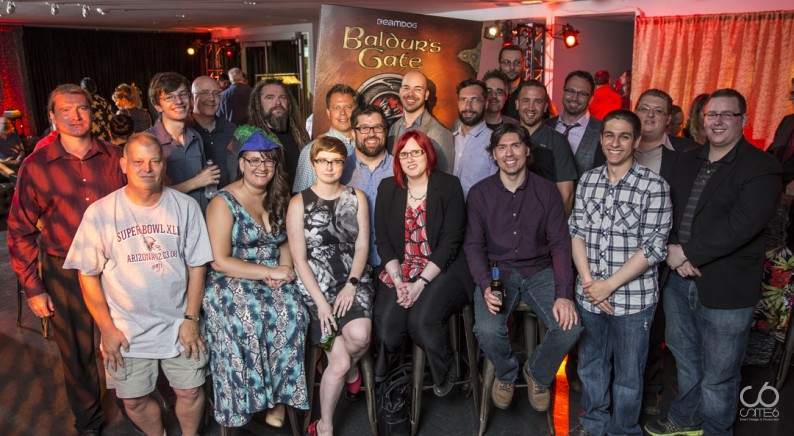 We are excited for Beamdog as they currently have received over 260,000 views on their expansion announcement game trailer, 1000s of views on the event recorded live announcement and Q&A sessions, lots of buzz on twitter as well as a tremendous amount of media coverage.